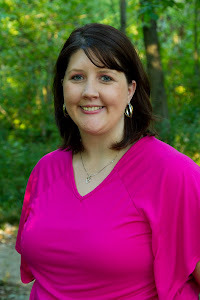 One Blessed Mama: What is Simple? What is Living a Simple Life? 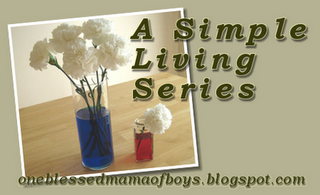 Simple living... What is simple living? One thing I know for sure though is that we are grasping for simple and simple life. We are exhausted with the fast pace, always cluttered, always running and never having any time for ourselves kind of life. We are tired, over worked, and under paid. We are at our wits end! Well I can say that is true for my husband and I. We are tired. We are worn down. We are ready for change. Next week I am going to get more in depth on what the definition of simple is and how it relates or does not relate to our life. This week, though, I want us to spend some time doing an inventory and trying to find what simple living means for us and our lives and families. has a simple and committed faith and relationship with the Lord. has a close knit family that loves to do "simple" things in life such as playing a game. isn't so hard to submit to my husband and we spend time doing things together such as planting a garden or taking a walk down a country road. involves us gardening and being self-sustaining. involves us spending more time together and less money. involves us doing less silly things and spending time doing more important. I am sure there are many more but those are ones that stand out to me right this very second. How about you? What do you see as simple in your future or even the way you are migrating now?